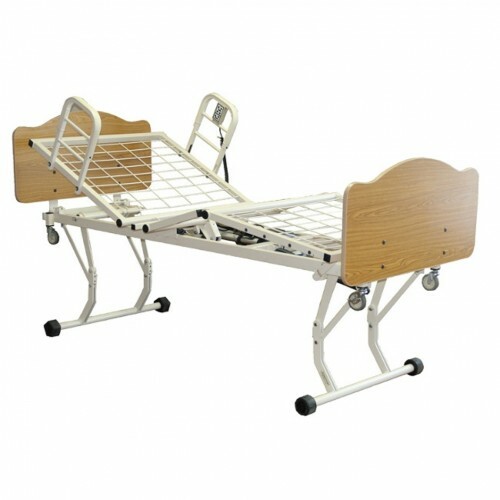 Here at Daily Care Medical Supplies, we carry a large selection of Long Term Home Care Beds for sale. A Long Term Home Care Bed is a hospital bed that accommodates patients requiring long-term care due to chronic impairments or a reduced degree of independence in activities of daily living. 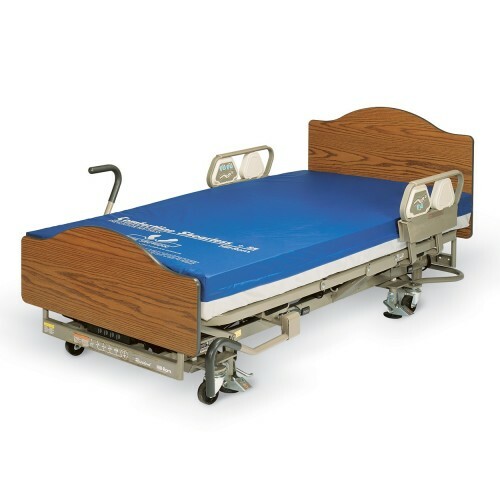 Long Term Home Care Beds are designed to make caregiving easier and to keep patients more comfortable in extended care settings. 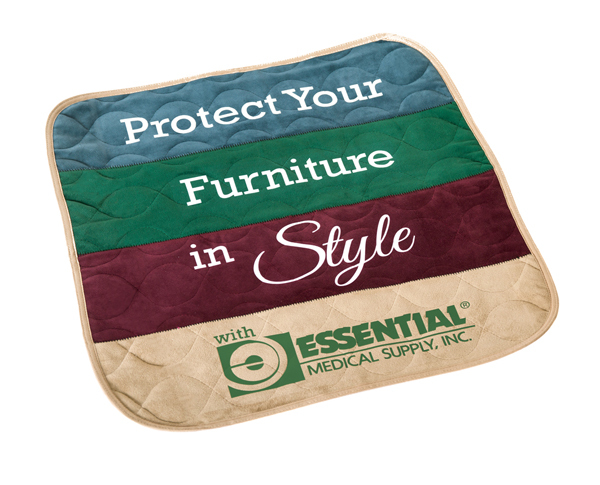 Top quality brands including Invacare, Medline, Joerns Healthcare, Graham Field Basic American, and Hill-Rom. 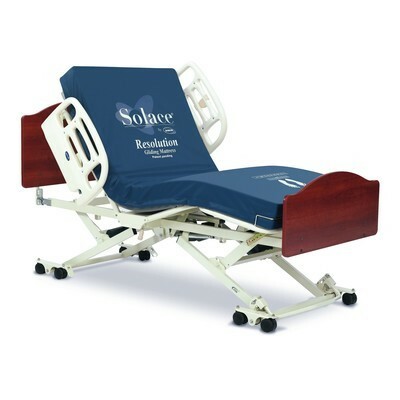 Our bestselling Long Term Home Care Beds are in stock and on display in our Los Angeles Showroom for customers to come and try before they buy. 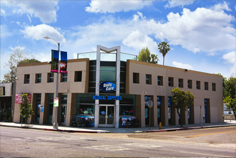 We guarantee the lowest prices and prompt delivery to all Los Angeles residents. 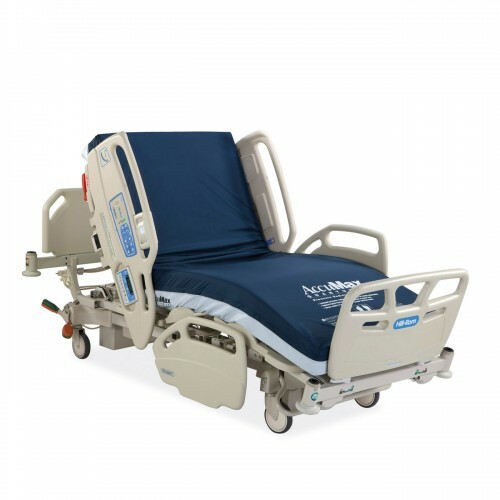 Call us today to speak with a highly trained specialist for assistance in choosing the appropriate hospital bed that fits your needs. 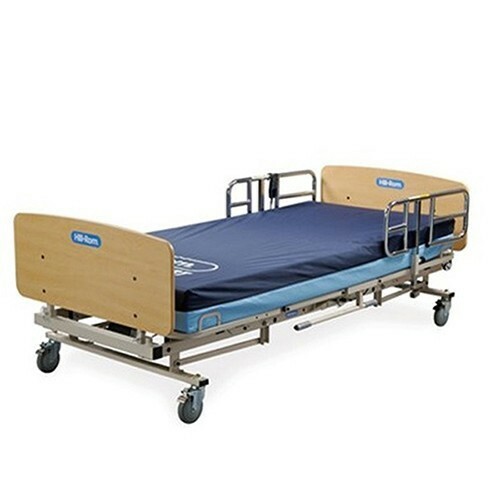 The Joerns Ultracare XT Bed is our bestselling homecare bed. 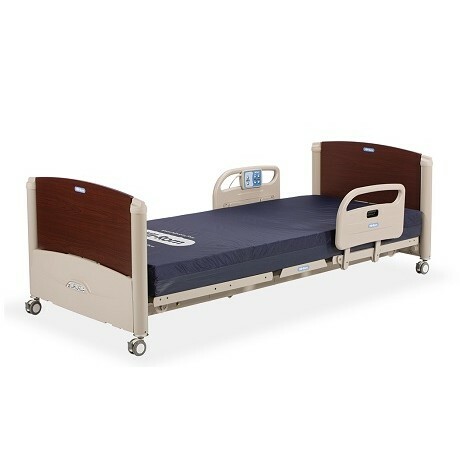 This bed has a steel grid deck which provides added support to the mattress put on the bed and ultimately the patient. The frame lowers to 7” off the ground and up 30” high. 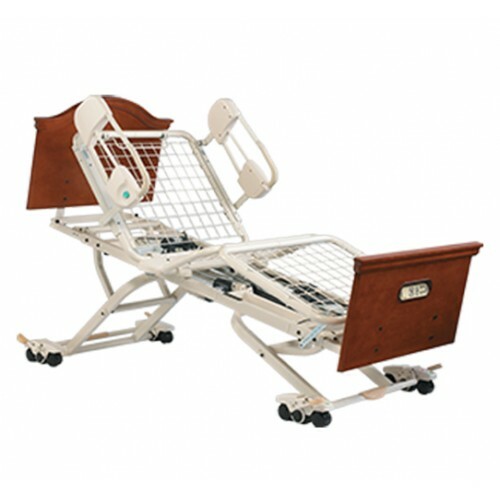 The low height is helpful to those who are at risk of falling from the bed and the higher height is helpful to the caregiver when attending to the bed user. 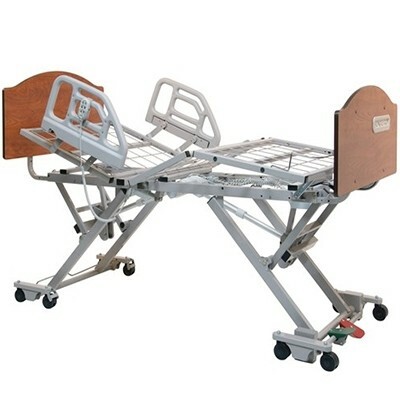 This bed also offers Chair positioning, Trendelenburg and Reverse Trendelenburg Positioning. The Liberty Bed provides you with the key features you want at a very affordable price point. 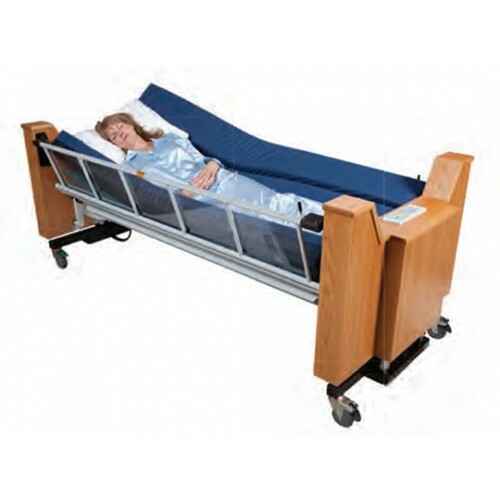 This is a full electric hospital bed with a steel grid deck which supports the mattress and patient. The solid deck also prevents the sinking of the mattress and patient into the bed which causes skin breakdown and irritation. Provides you with advanced positioning at an affordable price point. 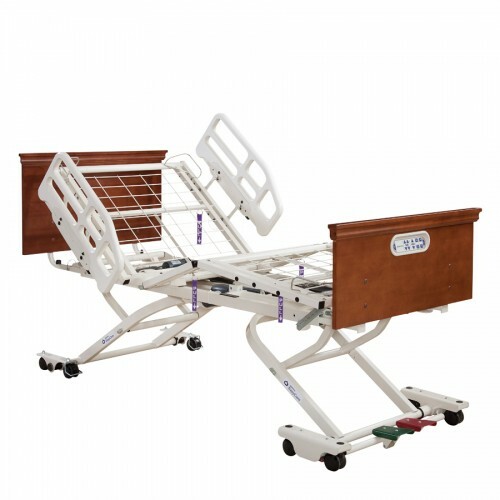 With mobility at any height, UltraLock wheels and easy steering this bed is a great option for facility and home use.